Summer 2010 Trend Alert :: Sunglasses!!! – Sooo Fabulous! Summer 2010 Trend Alert :: Sunglasses!!! It’s official! Oversized eyewear is still a major trend this summer! 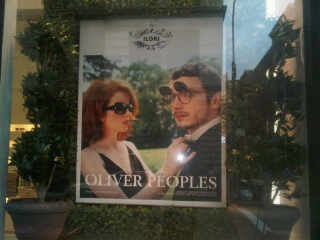 While shopping in Soho last week, I managed to preview the stylish 2010 Summer Collection by vintage brand Oliver Peoples, which I happen to heart—very much. Doing some sunglasses shopping soon? We’ve put together our fav pieces from top summer collections to help you decide. Happy shopping! Previous PostAshley Greene Makes Her MarkNext PostCelebrity Style Moments :: Halle Berry, Miley Cyrus, Sarah Jessica Parker + More! Pingback: SOLSTICE Kicks Off Huge Summer Promotion « Sooo Fabulous!